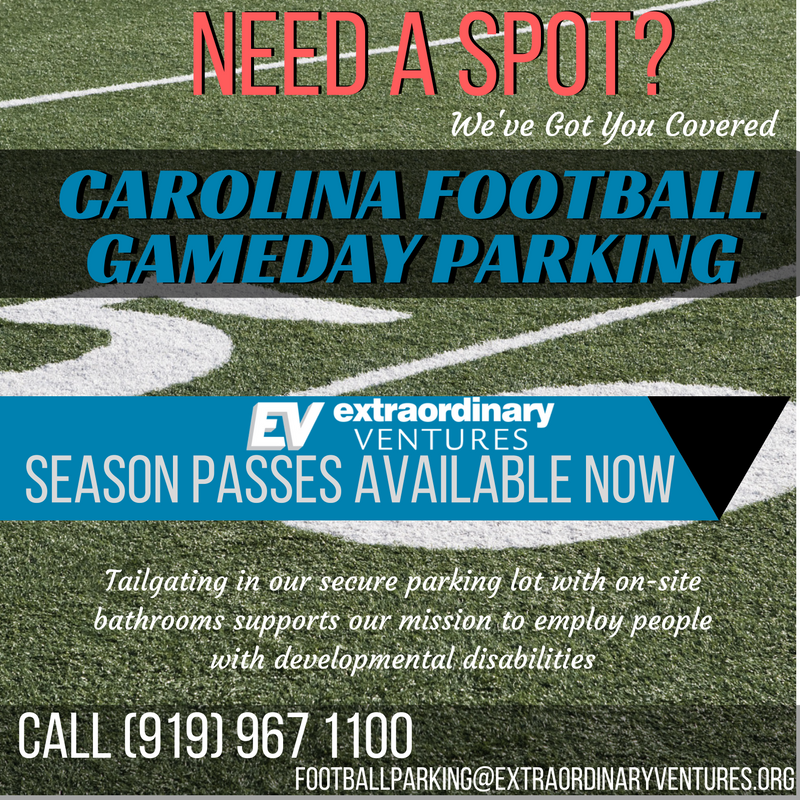 For all home UNC football games, Extraordinary Ventures operates a secure and safe parking lot suitable for tailgating. 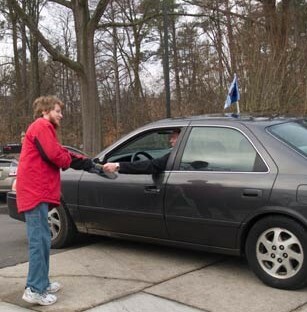 If you’ve ever tried parking for a UNC football game, you know how hard it can be. 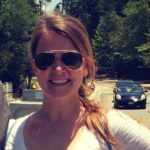 Parking in our lot will save you the frustration of finding a space and help support our non-profit. We encourage reservations and we sell Season Passes! 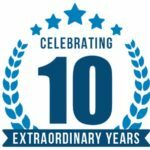 Click here for a diagram of our parking lot. 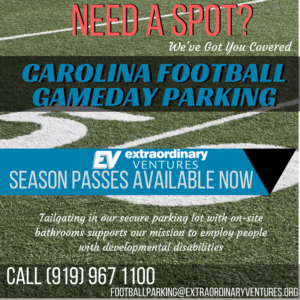 Contact us at 919.967.1100 or footballparking@evnc.org for more information or to reserve today.